The K&M 18840 Baby-Spider Pro Stand features an ergonomic design to efficiently hold your keyboard. Due to the useful clamp design, you can achieve tailor the height to your exact preference. The intuitive legged base increases the stability of the Baby-Spider Pro, making it suitable for uneven surfaces. Despite only featuring one tier of arms, the 18840's extendable frame means a further tier of arms can be attached. 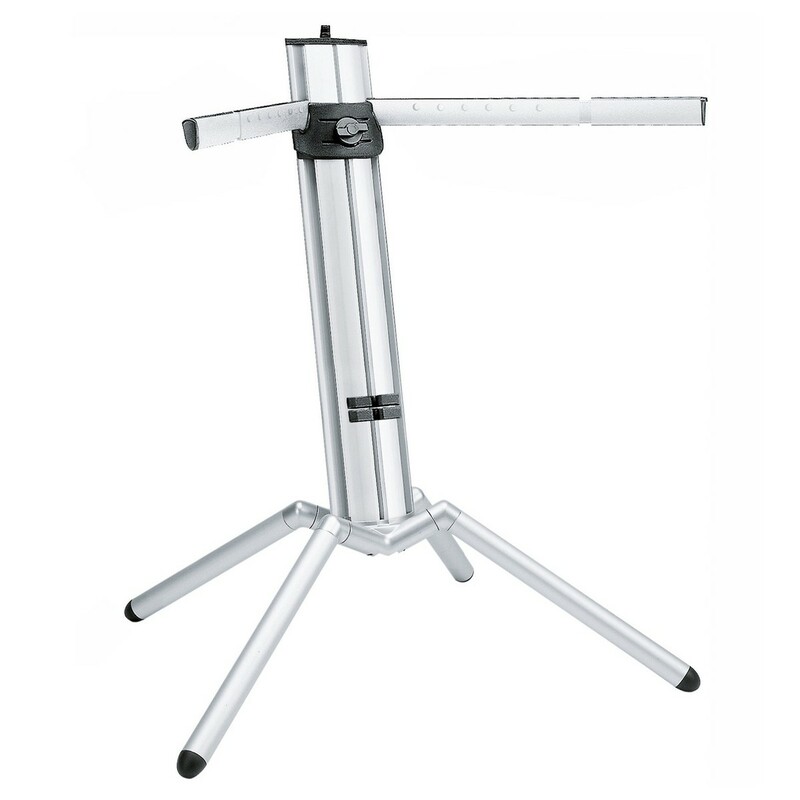 Weighing just 8kg but supporting up to 35kg on a tier thanks to the aluminium construction, this stand is ideal for the gigging musician.